The above image shows me with Liu Sheng (left) of Green Hunan, our partner in Hunan Province. Stay tuned for an upcoming profile of this inspiring grassroots leader. And not just the political time we live in. I’m writing from Chongqing, China, where the air quality is wonderful and “healthy” (a green color for those of you familiar with the conventions of air quality maps). And I’m reading about my family and friends in California and the San Francisco Bay Area, where the air has been ranging for many days now from “unhealthy” to “extremely unhealthy” to “hazardous” (red to purple to brown color on the air quality maps). 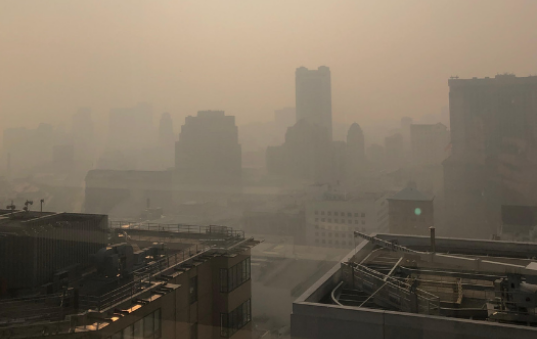 This inversion in the typical air quality for China and California is connected by climate change. Over the past week, I’ve been in Chongqing, China, where the air quality has been unusually good (left). Meanwhile, the air quality by our San Francisco office (right) reached an “extremely unhealthy” ranking on the air quality index (right). Yet, I’m writing today with hope. I’ve been in Chongqing to meet with our grassroots Chinese partners—environmental leaders from across the country—who have been steadily increasing levels of citizen participation in their communities and provinces and who are finding ways to engage Chinese government officials and companies on critical environmental problems. Our partner in Hunan Province, for example, is spearheading a nationwide effort to put River Watchers on every stretch of river in China (“every river needs a watcher,” as they sing out). 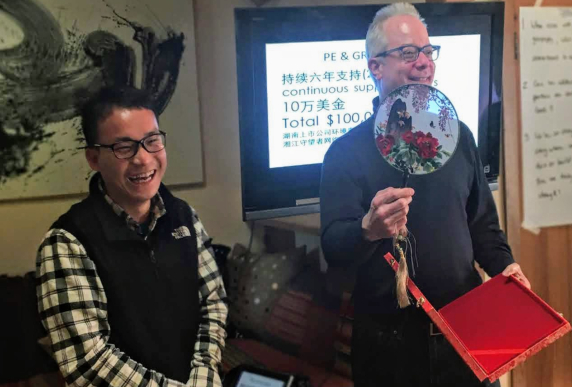 One of their regional coordinators joined us in Chongqing, and he described how some of them were getting involved in cutting-edge issues like the problem of plastic trash pollution in the Yangtze River and its tributaries. Leaders from Heilongjiang Province in the north educated us on the dramatic decline of salmon in their rivers (over 95%) and some steps they are advocating to restore historic salmon runs. Our friends from Gansu Province, out west near Inner Mongolia, are working to help villages develop ecotourism as a long-term economic approach for their communities that won’t ruin local water quality the way proposed extractive economic ventures would. 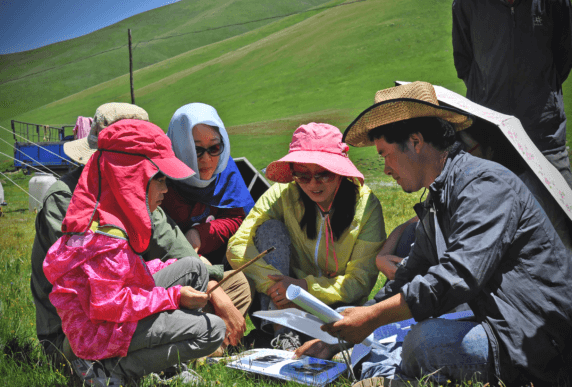 As part of his village’s ecotourism initiative in Gansu Province, China, village leader Donchi teaches visitors from the cities about the grasslands and his community’s way of life. These local examples and our current global politics reflect the historic choice we face. Will we fall into an abyss of chaos and division, nationalist authoritarianism, newly unfettered extractive economies, and ever-worsening climate chaos (as represented this week by the unprecedented fires, deaths, and outrageous pollution in California)? Or will we undertake the necessary modifications to our economic systems to emphasize equity, shared prosperity, clean energy (non-extractive) economies, and a new relationship with the natural world on a global scale—from the forests of the Amazon to the ice ecosystems of the Arctic? One thing I know: However much the ultimate policies may need to come from national and international agreements, the momentum, ideas, and energy for the global changes will arise from community leaders who demand a better day. I’m proud and grateful to partner with so many of these leaders on the Pacific Rim. With gratitude this week, and my best holiday wishes to you and yours.